Home Humans of thika MTAANI Meet Joseph Maina The Mr Grand Ambassador Thika. Mburu Joseph Maina is the current Mr Grand Ambassador Thika 2017, the 4th year student Community Health student at Mount Kenya University- Thika doubles up as the Mr Environmental-Nyeri County. 1.Were you born and raised in Thika: Yes and No I regard myself as a local tourist, though I was born in Nyeri County, I stay in Juja and study in Thika. 2.Tell us about your journey as a male model: I began modelling in 2016 while still in campus after my bid to be crowned Mr MKU 2016/2017 flopped, however I never lost hope and thanks to Ms Ruth Opanga CEO Vintage Models Company I have gained confidence and participated in other beauty and fashion shows across the country with the recent one being Mr & Miss Thika held in July. 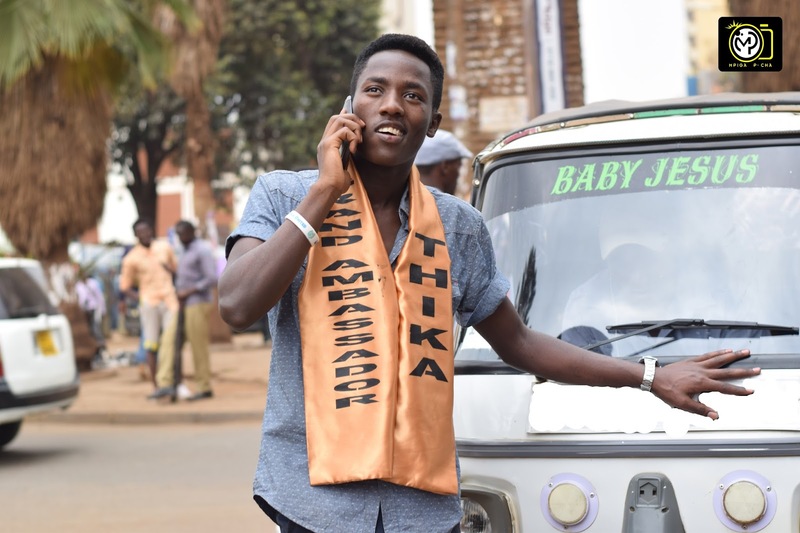 3.Do Thika people support what you do: Yes they do, I have been to many fashion events held in Thika, and when you see the likes of Thika Town Constituency Eng. Patrick “Jungle” Wainaina finding time off their busy schedule to grace occasions such as Mr & Miss Thika and the residents also attend such events or any other event organised by key stakeholders in the fashion industry that is when you know that Thika supports fashion. 4.What projects are you working on at the moment? As the grand ambassador together with our modelling agency we are currently involved in various social projects with the collaboration of other like-minded institutions such as Kenya Red Cross-Thika Branch, The Susan Gitau Counselling Foundation, we recently joined hands with the above stakeholders to sensitize Thika residents on the importance of adhering to the ban imposed by the state against the use of plastic bags, also the Blood Donation drive organised by Kenya Red Cross- Thika Branch and Thika Peace Clean Up exercise among other projects. 5.There are certain stereotypes that are associated with the Fashion and Modelling industry how do plan on changing them? I have heard people criticise male models calling them all sorts of names this is unfortunate that there those people who mistake being fashion conscious as being inclined to a certain sexual orientation, my take is we need to shift our mind set to viewing grooming as a way of communicating remember it’s never about how expensive you bought that pair of trousers, it’s about how best you clad in them. Am glad that in Thika there are many fashion designers and fashion coming up, this is evident from the numerous boutiques coming up and the huge number of hawkers flooding the streets selling trendy clothing and so forth. 6.Three things you would love to change about Thika Town Some people in this town do not value home grown talent, its high time that we invest in this, I see no reason why we should go to other towns and scout for talent yet Thika is a home of talents. Thika is a learning hub, look around you we have lots of institutes of higher learning but majority of the student population is from neighbouring counties I feel we are failing if we do not tap into this too. On the environment front I would like to urge our leaders to emulate what Nairobi City County Governor HE Gideon “Sonko” Mbuvi Kioko is doing to make the city clean and make Thika cleaner and greener. 7.Last words of advice to those aspiring to be models? This industry has great potential we have various categories in the modelling industry that cater for all people be it run way, commercial, and high fashion modelling, so I would urge especially the young people of Thika let them not stay idol and engage in negative virtues take up the challenge and sign up to be models and take advantage of entities such as Vintage Modelling Company and their lives will never be the same.